How to customize the record Plus/Minus icon? 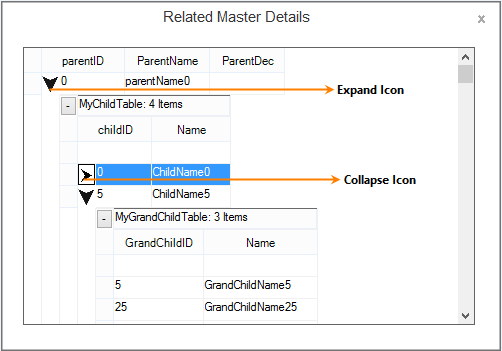 To change the record (+/-) icon for expanding and collapsing, you can customize that cell in QueryCellStyleInfo event. Change the CellType of the plus/minus cell to ‘Static’. The icon image is applied to that cell by using ImageList. The current state of the record is retrieved through IsExpanded property. The following screenshot displays the modified icons for record plus/minus.